14,265 others viewed this post. I love how this turned out! It just looks like magic stuff. 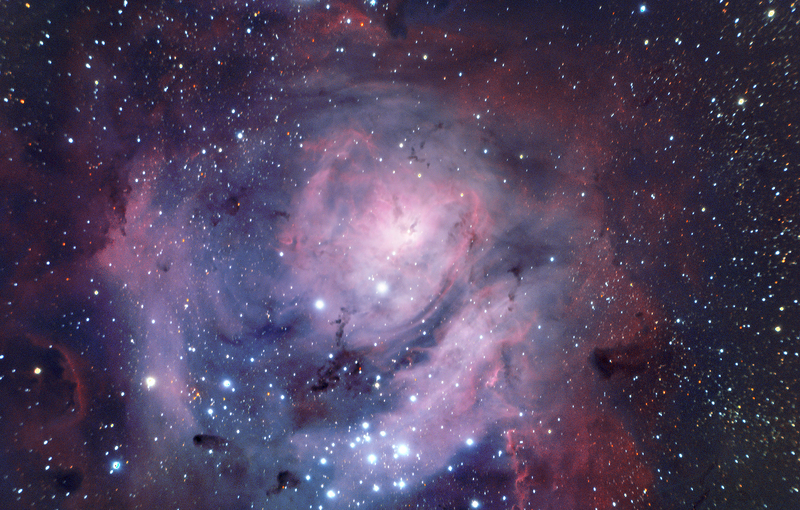 Here is a close up of the inner core, the star forming region, of the Lagoon Nebula (M8). The area is littered with “Bok Globules” which are dark, dense areas of dust ready to coalesce into a new star. This is another quick shot, only 35 minutes exposure time in 5 minute exposures. Celestron 9.25″ Edge HD / QHY12 CCD. Processing in PixInsight.